The "Clean Air for Delhi" campaign was launched jointly by Harsh Vardhan and Delhi Chief Minister Arvind Kejriwal on February 10 to find a permanent solution to pollution in the National Capital Region, including Delhi, through experiments and an awareness drive over a fortnight. Environment Ministry claimed improvement in Delhi's air quality during the course of the campaign. 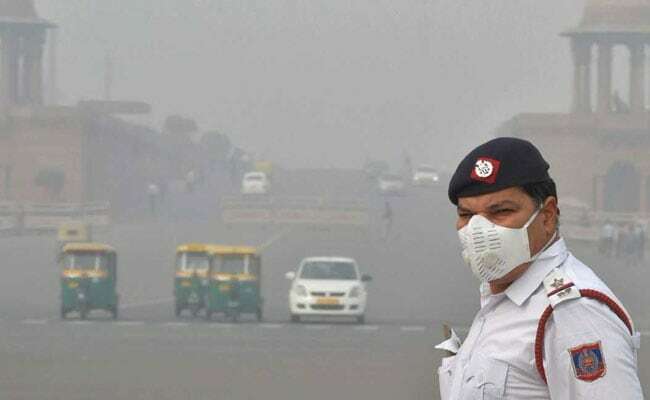 New Delhi: A clean-air campaign in Delhi witnessed 7,357 violations, for which penalties were slapped in 3,117 cases and Rs 8.85 crore in fines realised over two weeks, a Minister said on Friday. "A total of 7,357 cases of violations were reported, and in 3,117 cases fine was imposed. These included 402 cases of open burning of waste, 3,782 cases of construction and road dust violations, 233 cases of vehicular pollution and 635 cases of traffic congestion," Union Environment Minister Harsh Vardhan told media persons in New Delhi. The campaign will now be extended to 100 non-attainment cities, or 100 top polluted cities, across India where air quality is below standards, he said. "Year-round efforts are required... the campaign will now extend to 100 non-attainment cities," the Minister said. The Ministry has a fixed target to cut air pollution in these cities by 50 per cent over five years. While the Environment Ministry claimed improvement in Delhi's air quality during the course of the campaign, the Ministry will now looks forward to hold talks with the state to focus on region-specific environmental issues. As many as 70 teams of officials derived from the Central Pollution Control Board, Delhi Pollution Control Committee, civic bodies, Delhi Police and NGOs have been formed for the campaign. The campaign's outcomes are expected to help the Ministry form a larger policy framework to apply throughout the year as a permanent solution to air pollution, the Environment Minister had said earlier.